Critics Say Border Wall Could Harm Wildlife Corridors And Sensitive Desert Terrain The wall along the U.S.-Mexico border cuts across sensitive desert and mountainous terrain. But environmental regulations are waived for wall construction, raising concerns about longterm damage. New Mexico's bootheel region along the U.S.-Mexico border is an important wildlife corridor. 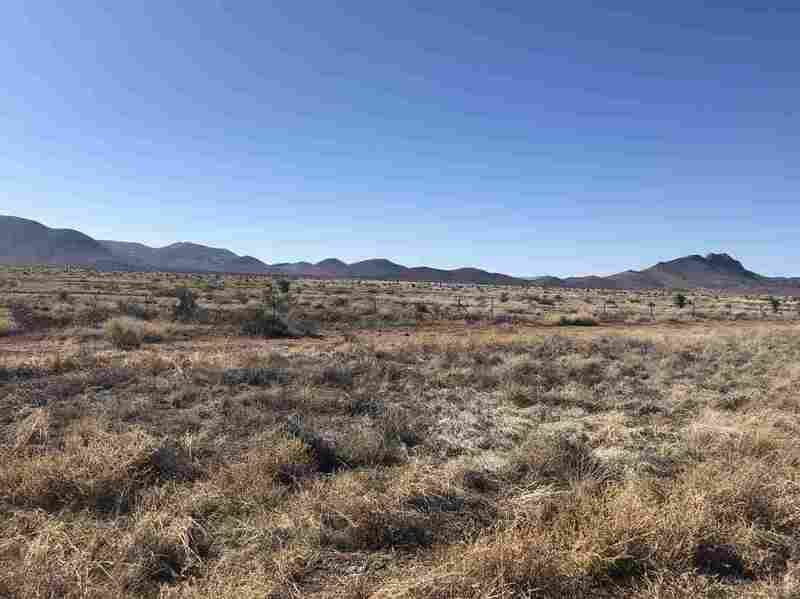 There is currently no border wall in this area but environmentalists are concerned about what could happen if the wall is expanded. The 2,000 mile border between the U.S. and Mexico traverses hundreds of miles of public lands, including six national parks. Environmentalists have long argued that a border wall has negative impacts on wildlife and on delicate desert and mountainous terrains. With President Trump's national emergency declaration, those concerns will only grow. More than a decade ago, Congress gave the Department of Homeland Security authority to waive environmental regulations for national security reasons. The government can bypass a whole host of laws, including the Endangered Species and Clean Air Acts, in order to expedite border wall construction. To think we could do something like this free of significant environmental consequences, it's delusional. We're fundamentally changing the landscape here. That concerns environmentalists like Laiken Jordahl, with the Tucson-based Center for Biological Diversity. 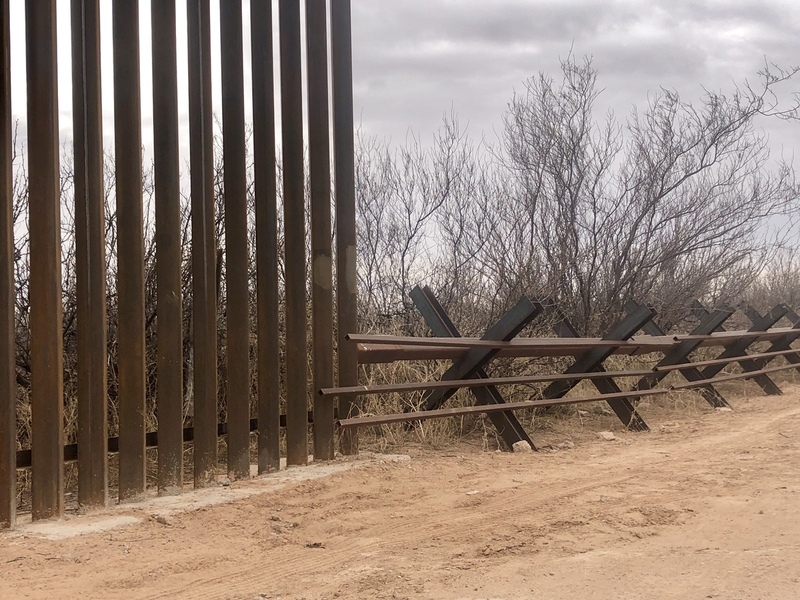 On a recent overcast morning, he stood in front of a new section of border fence near the Santa Teresa Port of Entry in southern New Mexico. The 20-mile long steel fence was constructed last year, replacing waist-high vehicle barriers. New 18-foot, steel bollard fencing is replacing an old vehicle border near the Santa Teresa Port of Entry in New Mexico. Environmentalists are concerned the new fencing will block off wildlife corridors. "To think we could do something like this free of significant environmental consequences, it's delusional," Jordahl said. "We're fundamentally changing the landscape here." At first glance, the Chihuahuan Desert seems somewhat deserted — mostly sand, spotted with mesquite and soaptree yucca. But it's actually home to lots of wildlife, from mountain lions and coyotes to the endangered Mexican gray wolf. "All sorts of animals have evolved for millennia untold to migrate freely through the desert," Jordahl said. "And now we have, really, this landscape-scale obstruction that will stop all species in their tracks." The Center for Biological Diversity and other groups have filed numerous lawsuits challenging the government's authority to waive environmental regulations. So far, most have failed. Now, the Center has joined two other conservation groups in a new lawsuit against the national emergency declaration. Customs and Border Protection takes issue with claims that the wall is damaging local environments. A CBP official explained that the agency, "conducts all necessary research and surveys to include environmental clearances prior to beginning any construction to identify and avoid or mitigate potential impacts to sensitive locations." Still, some conservationists remain skeptical and frustrated with the rhetoric around border barriers. "There's a lot of silly semantics going on in the national debate over whether it's a wall or a fence," says Kevin Bixby, with the Southwest Environmental Center in Las Cruces, N.M. "From our perspective, if it's a big structure that prevents the passage of wildlife, it's a wall." Much of new wall construction is expected along the Rio Grande river in Texas. CBP says they have engaged local, state, federal and non-governmental organizations there to, "identify and address potential impacts to cultural, historical, and natural resources that may be within planned barrier alignment in the Rio Grande Valley of Texas. This is an example of our efforts to protect the environment." But new border fencing in the Rio Grande Valley could end up cutting through critical floodplains. Josiah Heyman directs the Center for Inter-American and Border Studies at the University of Texas, El Paso. "The fence-wall is a huge barrier to the normal movement of water," he says. Trash and debris can clog the structure, effectively forming a dam. After a border wall was constructed in 2008 in parts of Arizona, monsoon floodwaters built up behind the wall and poured into the Mexican city of Nogales. Heyman says something similar could happen on both sides of the border in the Rio Grande Valley — especially if a hurricane blows in from the Gulf of Mexico. "We really do share the same water and it's something that you can't build a wall through," Heyman says. In the newly signed border security bill, some south Texas environmental sites were specifically protected, like the Santa Ana Wildlife Refuge and the National Butterfly Garden. But it's not clear what might happens to those sites now that President Trump has declared a national emergency.